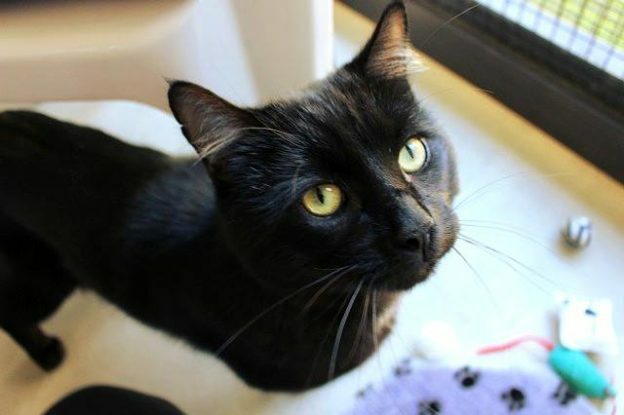 Romeo is about 4 years old and came to us from one of our fellow rescue organisations as a stray. He was undesexed when found and has probably been living rough for a really long time – we suspect we may have rehomed a few of his offspring over the last couple of years! Despite his shady past, Romeo is a sweet and gentle boy. He is shy with strangers but an affectionate lap-cat once he knows you. He will suit a quiet home and patient new owner. As he spent so long living rough he will need to be kept indoors for longer than usual to ensure he is fully settled before being allowed outside.